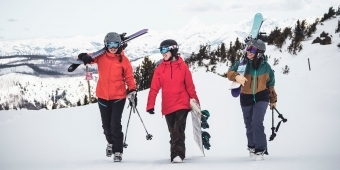 Skiing as you've never experienced! Enjoy the whole day on skis and have fun with DJ Set après-ski. Need a ski set? You can take advantage of an excellent discount (only with online booking) at the suggested rental nearby. 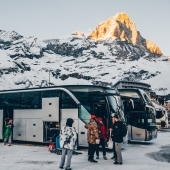 You will find dozens of unforgettable destinations framed by the Alps: Cervinia, Gressoney, Folgaria, Pila, Aprica, Bardonecchia and many others. What are you waiting for? Jump on the bus and you'll have fun! Forget the stress of big cities, skip the queues at the cash desks and just think about spending a great day in the company of us and your friends! 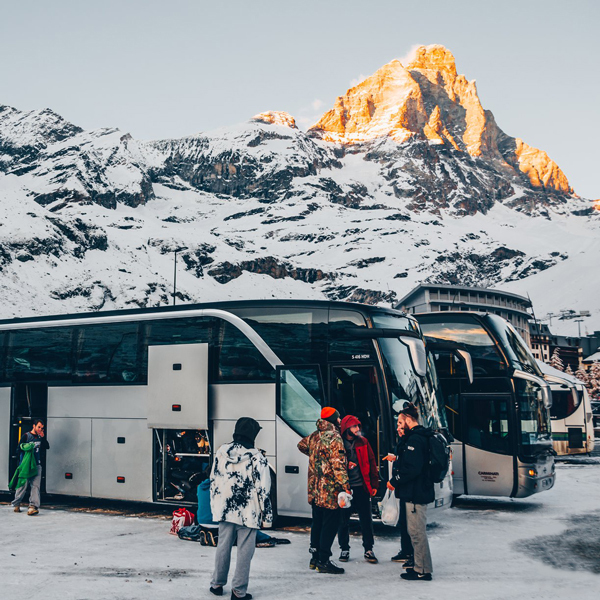 *CONDITIONS OF SALE: Relations between the Parties and individual users will continue to be governed exclusively by the travel and booking conditions set and regularly applied by Busforfun.com (link).